Snowless Snow Day Margarita Mixer! Coach and the girls have another snow day! There isn’t actually any snow, but it’s super-cold, and it snowed all day yesterday, so why not? Especially when the school system has 13 built-in weather days to burn. 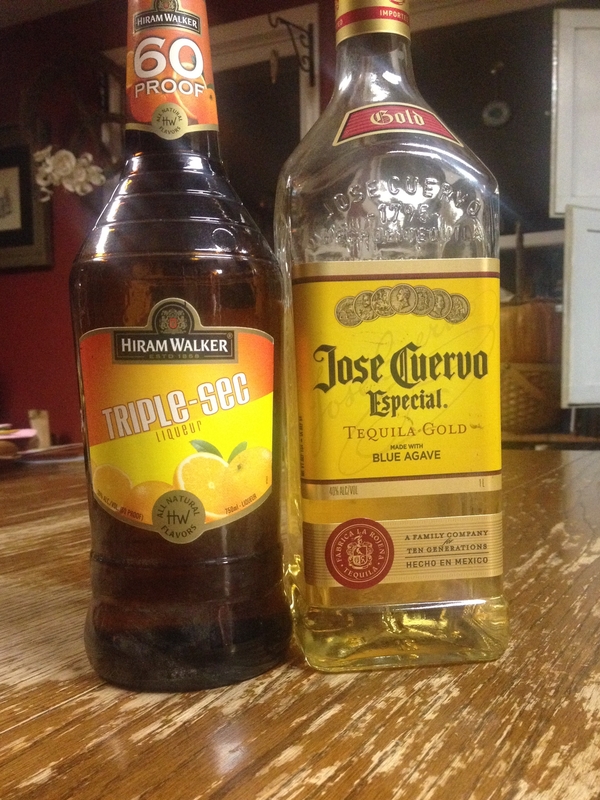 So, we’ll be kicking it here at the house, and I’ll be making my Snowless Snow Day Margarita Mixer! What do you do when you find out at 8:30 pm that there’s no school tomorrow? Well, when I was still in the salon, I would grumble and complain and force myself to bed at my normal bedtime so I could get up and head to work while my family lounged around the house in their PJ’s. 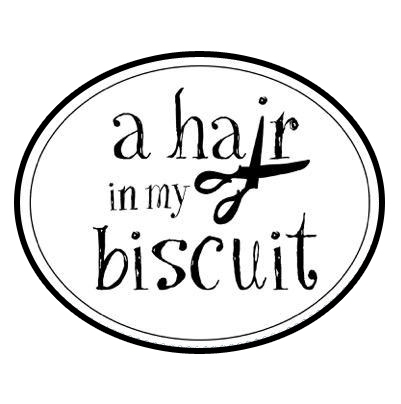 Many times I would have to sneak around and get ready in the dark so I didn’t disturb their late morning slumber, slipping out the door ever-so-quietly and dragging myself to the salon with much jealousy and chagrin. Now that I work at home? I pour my second margarita of the night, settle in with another episode of Criminal Minds, and plan my own late-morning slumber on a snow day! Then, I remember that Wednesday is blog day. I also remember that our wifi is tapped out (again), and the new batch doesn’t start until the 16th. I’m smacked in the face with the fact that I have to blog sometime between 2 am and 8 am so I can cash in on our “bonus” data (what a crock), or I’ll struggle to upload the first picture. I can’t let my 70-something readers down, can I? No! I love this blog, and I love my schedule, and I must produce something meaningful and riveting! What would you choose? Stay up until 2 am and blog to my heart’s content, or wake up at 5 am and struggle to get something posted before 8? It’s actually 9:10 pm as I type, and I haven’t decided yet. I figured I could write it up now, and decide later whether to stay up really late or wake up really early. 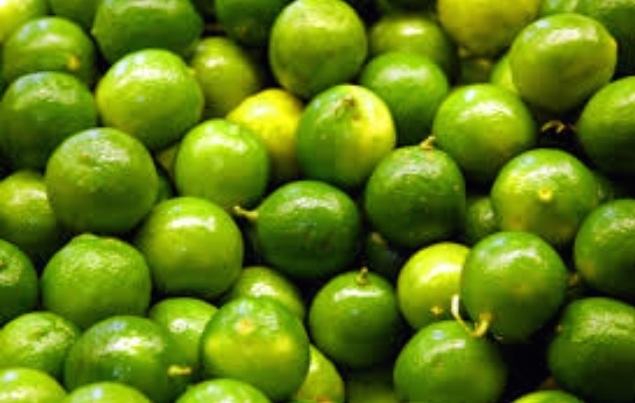 Let’s all start by being thankful that I didn’t have that many limes. Squeeze the juice out of 7 limes (I had 8, but I used one to marinate some chicken for chicken burritos the other night). 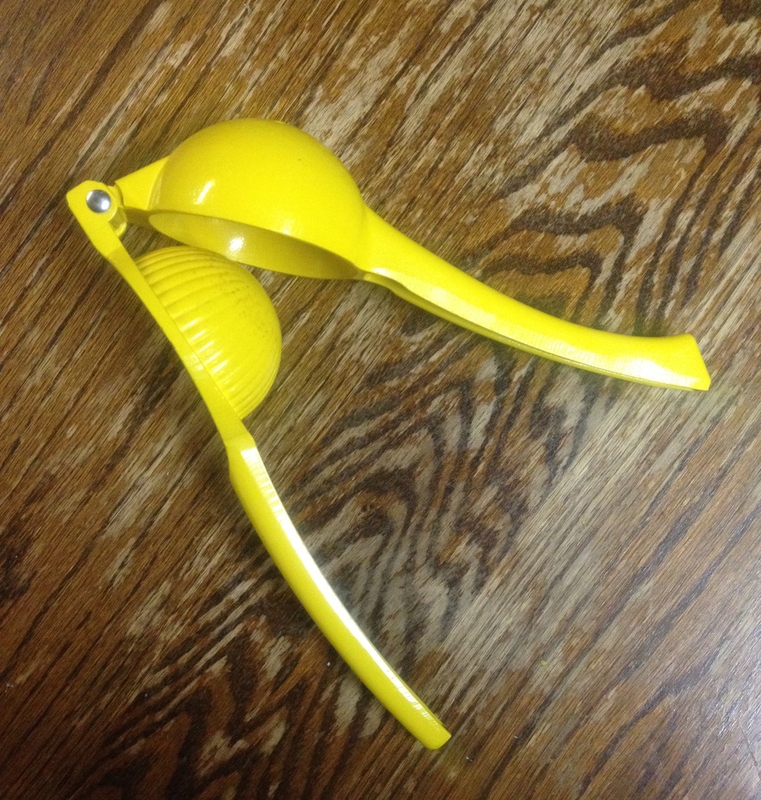 Use this thing, because it’s really cool and your best friend sold it to you when she was a Tupperware lady. I know it’s not made of rubber, but I swear, it’s Tupperware. Ask Shuh-Wanda; I have every piece of Tupperware ever made. That’ll yield about 3/4 of a cup of lime juice. Mix that there lime juice with 1 1/2 cups of water and about 1 1/4 cups of sugar (these measurements are not very scientific, but I’m tellin’ ya…it’s good) in a sauce pan. Bring that mess just to a boil, whisking it together, then shut off the heat and let it cool. Chill it for a while in the fridge. You know, till it’s cold. Choose your favorite little whiskey sippin’ glass, and dip the rim into that delicious lime simple syrup you just made (you didn’t know it had a name, did ya?) Dip it next into a plate of kosher salt (if you don’t like salt on a margarita, then quit wasting your time…get some wine coolers). Fill that cute little glass about 1/3 of the way (or halfway, if tomorrow’s a snow day) with Jose Cuervo Gold Tequila (I would fill it with Ron White’s Number Juan Tequila, but I didn’t win the bottle when Coach and I went to his show a few weeks back). Throw in a splash of Triple Sec. Fill the glass the rest of the way up with the yummy Snowless Snow Day Margarita Mixer you made, and then just start sipping! Vow to stop at one, then watch as your 13-year-old daughter breaks into her happy dance after answering the school’s all-call announcing a snow day tomorrow. Break vow. Make another. There’ll be enough for about 4 good ones out of what you just made (I have to stop at 3 because I drank one on chicken burrito night). I guess you could make all you want, but you’d have to buy more limes. I only bought 8, so there. I didn’t even save one for garnish, but you could do that, too, if you’re fancier than me. I don’t need a lime wedge on the rim of my gas to feel special. Oh, and I already licked off all the salt. Whoopsie….looks like I’ve almost finished #3! Hope you guys get to read this! I would have included some better photos of the whole process if I hadn’t sucked it all down before deciding to tell you about it. You don’t have to see it to believe it. Just make it! 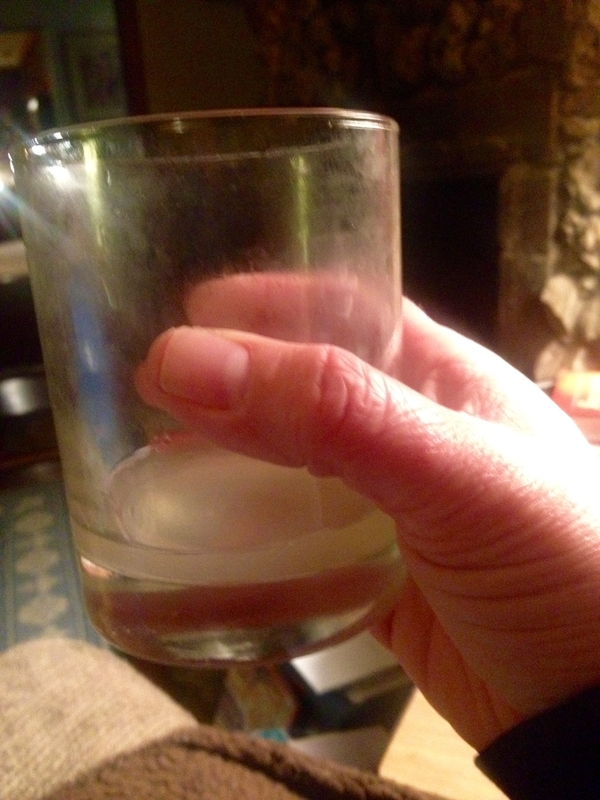 You can’t get Snowless Snow Day Margarita Mixer from a frozen concentrate, nor from a bottle. You have to make it yourself, from scratch, and then drink it all. 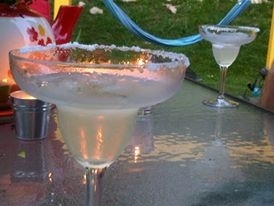 And, so you know, I do own some really pretty margarita glasses. See? I just didn’t have anyone to impress, and those glasses make me think of summer. I’m trying to enjoy my snowless snow day, thank you very much! I don’t need to pine away for drinks on the patio at a time when the winter air makes my eyes water and my tears freeze on the way to the mailbox. No drunk texting? For shame . . . Right? I was too busy trying to write this blog and still stay informed about my Criminal Minds episode. I’ll catch you next time! ? Haven’t done too much…been a little fuzzy-headed! Lol! Worth it! Thanks so much for sharing at Thursday Favorite Things Blog Hop! I can’t wait to see what you bring next week!